We get it – it’s summer and there’s lots of places to go and lots of people to see. Everyone in the family is craving a fun, adventurous break after a year of hard work. So let’s get down to it and have fun as soon as possible. The fastest, easiest way? 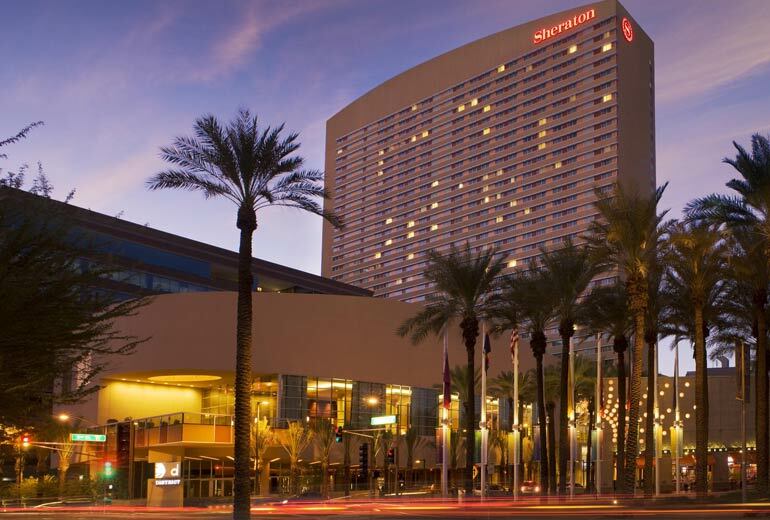 A stay this summer at the Sheraton Phoenix Downtown. Chances are it’s been awhile since you’ve visited the city anyway, and the place is exploding with excitement. Attend a baseball game at Chase Field, catch a concert at US Airways Center and discover the downtown culture at Phoenix’s First Friday art event, put on by the nonprofit organization Artlink. Not to mention, the Sheraton is a pretty rad hotel. On the corner of Third Street and Van Buren, soaring 31 stories high, you can rest assured the hotel has some sweet views. 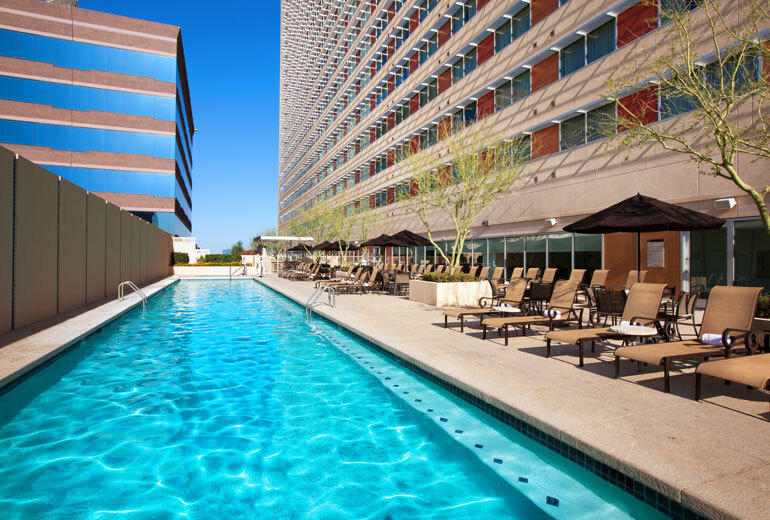 To see Phoenix at its finest, visit the sundeck to see the rooftop garden and get your relaxation on at the outdoor lap pool. After that, cool off at the poolside bar, Breeze, for some refreshing cocktails. Finally, walk the streets of Phoenix and see what all the fuss is about. Pick any of the following packages and you’ll understand why people are loving the downtown scene. Children under 12 years of age eat free with the purchase of an adult meal at District American Kitchen and Wine Bar.